so exiting…we then traveled to the bank which was closed for a holiday that we had not even considered…remember we were in lock down…free at last…and the bank was closed for “free at last” Martin Day. So…we had no gas money, but Frank scrapped together four quarters to buy tooth paste. Our finances are pitiful. We had too much spending last month and no incoming to back up for it. Some months are like that. Car insurance due, money for the staff for Christmas…those two alone ate $450 out of our nothing left over for the month…so we are still wondering how we are going to catch up. Going down for supper tonight. Then it’s a BINGO night. I have my dollar saved up. If I win a game, I can play four more times. I won two weeks ago so i have enough to play today. I may add some more comments after I get back…. It’s after one am, but I wanted to add a photo to this post. Went to Bingo but didn’t win. 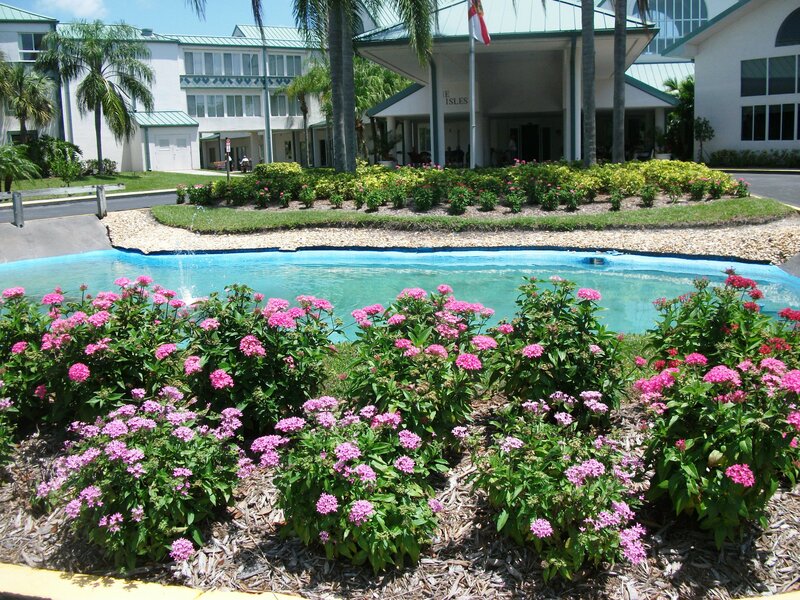 Picture is one of our outside area here at the Isles of Vero Beach. It’s a very nice place to live. The pond and flowers grace our entrance every day.